Mark your calendars for March 30 & 31, 2019. 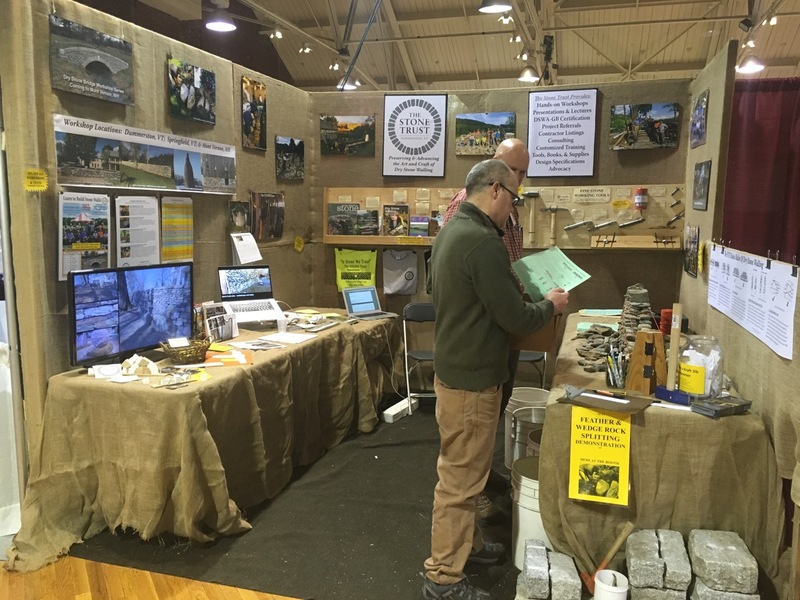 The Old House Trade Show put on by Greater Portland Landmarks is back, and The Stone Trust will be there! Come by our booth to ask questions, sign up for workshops, and even buy tools & books, and enter a drawing for a walling hammer of your own! Learn about what to look for when evaluating the structural stability of old dry stone walls, retaining walls and foundations. Understand methods for repairs and the hands on do’s and don’ts when building structural stone walls without mortar. We will also touch on using lime mortar when mortar is appropriate. Brian Post is the Executive Director of The Stone Trust; Dry Stone Wall Association of Great Britain Certified Master Craftsman, Instructor & Examiner; and a Licensed Landscape Architect, State of Vermont. 2:30 pm – 2:50 pm Sunday Stone shaping basics: Split, trim, cut and dress Learn about the tools and techniques for working with stone. See how ‘feathers and wedges’ can be used to split large stones, and hammers and chisels can be used for trimming and dressing stones.